Is Robert Schwartzman Gay ? Robert Schwartzman, 36, is a well-known media personality actively involved in acting, singing, and film directing. He is widely recognized as the lead vocalist of the rock/pop band Rooney. Schwartzman has worked on several movies and series like Easy A, The Virgin Suicides, and The Princess Diaries among others. Robert Schwartzman was born Robert Coppola Schwartzman on December 24, 1982, in Los Angeles, California, USA. He is the youngest child of Talia Shire and late producer Jack Schwartzman. Schwartzman holds American nationality and belongs to Jewish-Catholic descent. He joined the Windward School in Los Angeles, California and formed his band Rooney in 1999. In 2001, he left the group temporarily to attend Eugene Lang College in New York City but still wrote songs for his band. Later, he decided to go back to LA and continue with his band, Rooney. Robert's elder brother, Jason Schwartzman, is also a singer, he is in the band Coconut Records. Schwartzman began his career as an actor, making screen debut with his cousin, Sofia Coppola's first short film Lick the Star in 1998. 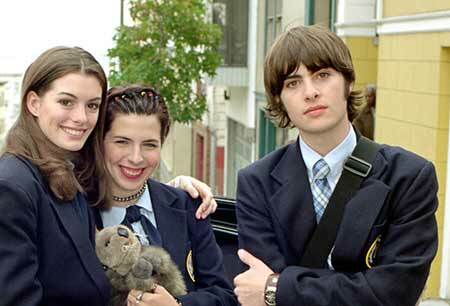 Robert Schwartzman with his cast of the movie, The Princess Diaries. Later, he was cast in the Disney's, The Princess Diaries (2001) for his singing ability. The movie featured one of his band's song. In 2002, Schwartzman took a break from his acting and focused all his attention towards music. The same year, his band Rooney signed with Geffen/Interscope record. The band released their first album in May 2003 and sold approximately more than 500,000 copies. They also made a guest appearance in one of the episodes of "The Third Wheel.'' Many of their songs have featured in several shows. In November 2004, Rooney released their hour-long documentary, Spit & Sweat which included their interviews and live performances. Schwartzman released his first solo album in 2011 and donated all the profit to the Tibetan Healing Fund to build a new birthing center. 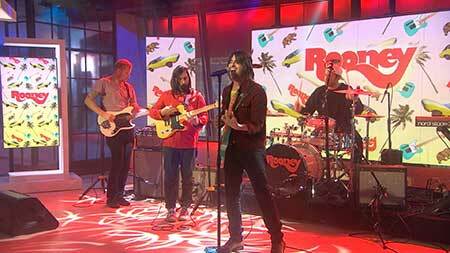 Robert Schwartzman performing with his band Rooney. In 2013, he sang a song for the movie, Palo Alto along with Devonte Hynes. Schwartzman expanded his knowledge in writing and directing and launched his first directorial movie, Dreamland in 2016. Schwartzman has an estimated net worth around $800 thousand, but no official confirmation has come from him regarding the figure. His music albums have earned him millions of dollars. His main source of earning is from his career both as an actor and musician. Schwartzman's mother Talia Shire who is an actor is estimated to have a net worth of $15 million & $20 million according to The Richest and Celebrity Net Worth. Robert Schwartzman is very secretive regarding his personal life and prefers to stay away from the limelight of media. He is possibly single currently, but previously he was linked up to several women including; Chelse Swain, Kelly McKee, Rachel Crane, and Zoey Grossman. However, he has never confirmed or denied anything about the rumors. Despite being a celebrity kid he tried his best to keep his personal life hidden from the media. As for his physical appearance, he stands a height of 5'7 feet and has a fair complexion. He is active on Instagram where he has around 47k followers and has 40.6k on Twitter as of January 2019. Here is a video of Robert Schwartzman talking about his time with his band, Rooney and other things as well. Currently, he is rumored to be dating actress Zoey Grossman. The two attended the British Fashion Awards together in December 2018.